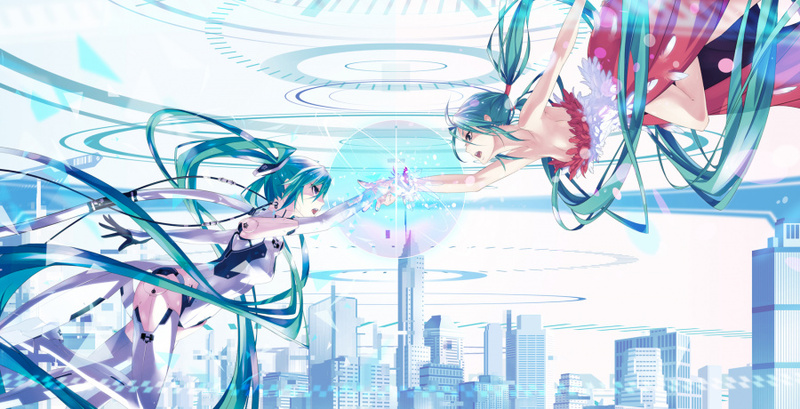 Creepy cult Japanese rhythm game Hatsune Miku: Project Diva F is set to prance onto the PlayStation 3 in North America and Europe in August, publisher SEGA has announced. You may remember the organisation running an online petition regarding the title earlier in the year – it turns out that it was pretty successful. @JavierYHL There is 2 version PS3 and PS Vita version. We is getting a improved PS3 version. I will import from US to get a Retail box of this game. I never noticed how similar Miku and Nymph from Sora no Otoshimono look, until now. That hair must be a nightmare to brush. Yes. I would like to see a PSVita >RETAIL< release too. So far there are no plans for a Vita version, but according to Aaron Webber in response to multiple comments on the PlayStation Blog, but he says they are listening, and might consider it in future endeavours. I may buy another Vita, if they release the Special Edition Vita with Hatsune Miku. @artemisthemp All I said was that Miku and Nymph look similar. How is that going to spoil the ending (which is pretty fantastic)? Why restrict game's sales to the few that has cable. There's probably about 70% of people still with DSL meaning they won't be able to downlaod the game at all as the timeout errors would occour at 200-300MB point 500MB if they lucky then it starts back at the beginning again. I'ts almost Like Sega set this up as a failure at the beginning.